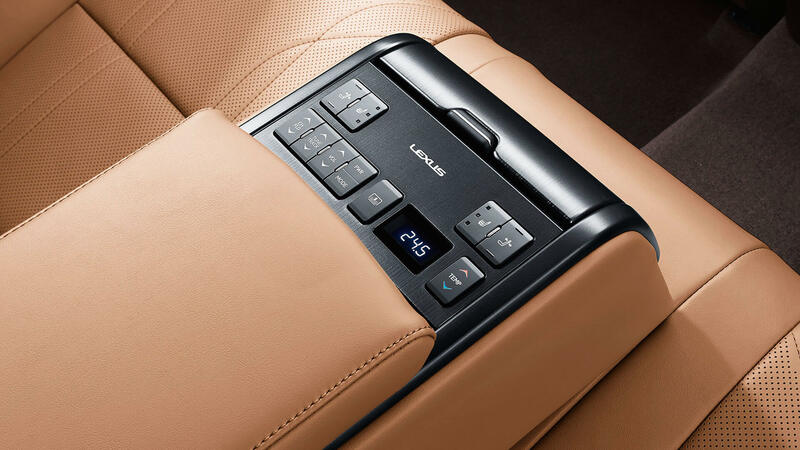 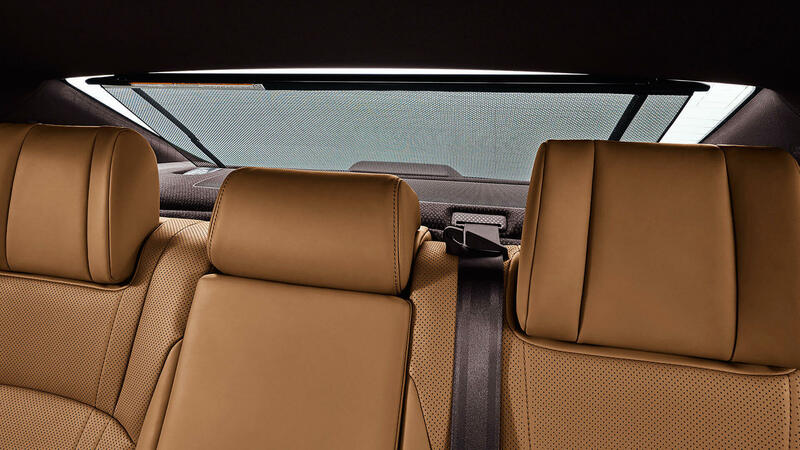 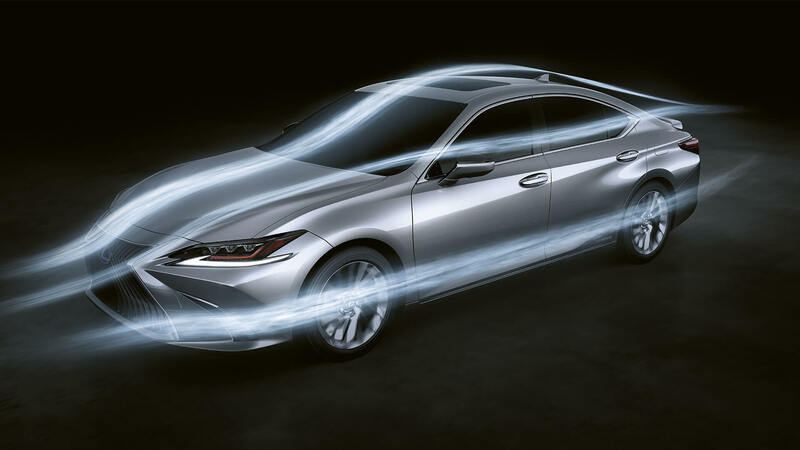 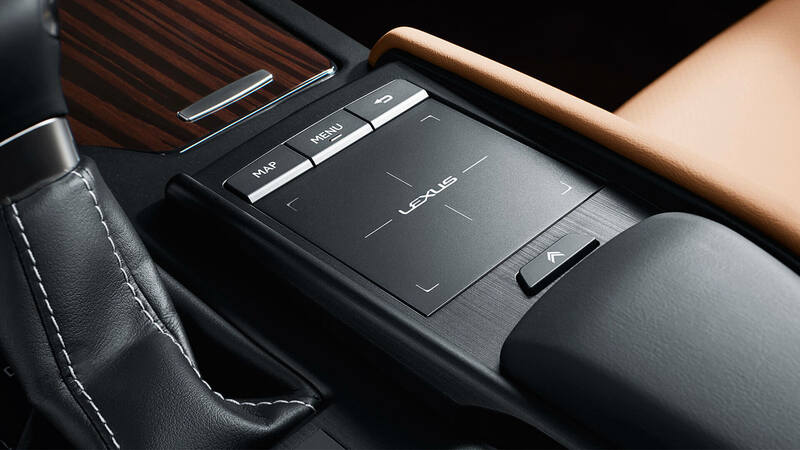 The exciting new Lexus ES shatters preconceptions about executive saloons. 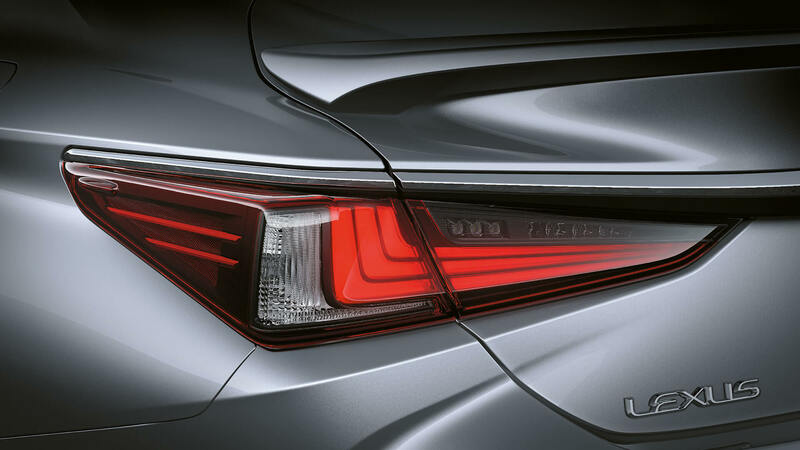 Benefitting from a brave new approach to design, made it lower, wider and sleeker. 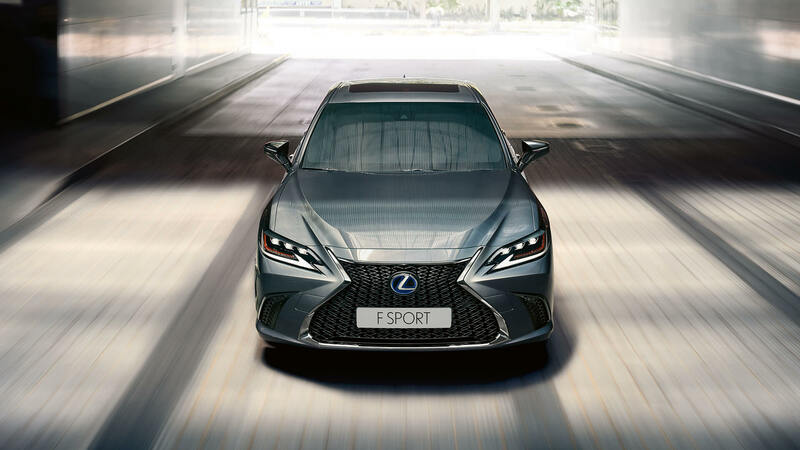 Combining a stunning coupé-like silhouette with the roominess and refinement of a flagship saloon, the ES delivers elegance and comfort in one exceptional vehicle. 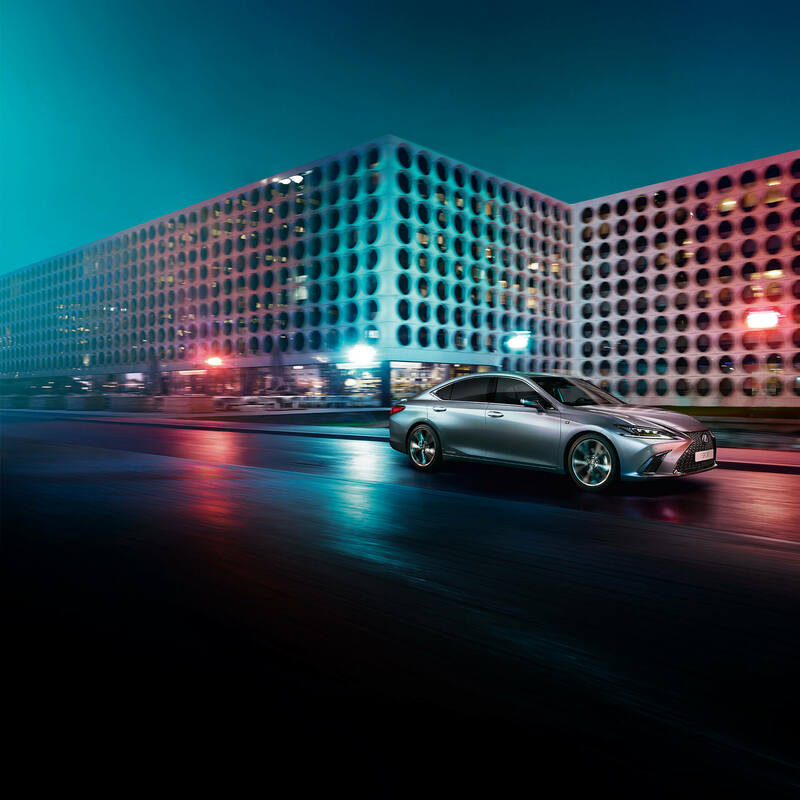 Thanks to its chassis, the ES displays an elegant side profile, wide stance and low centre-of-gravity. 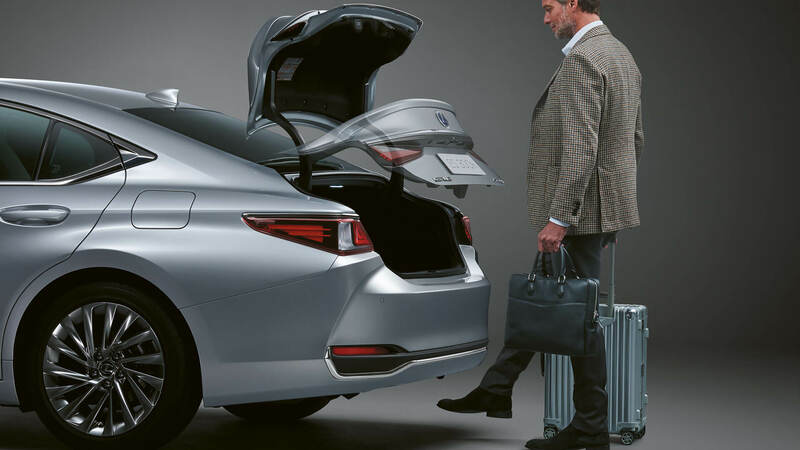 Additionally, and its sleek coupé roofline notwithstanding, our executive saloon delivers legroom and space for passengers. 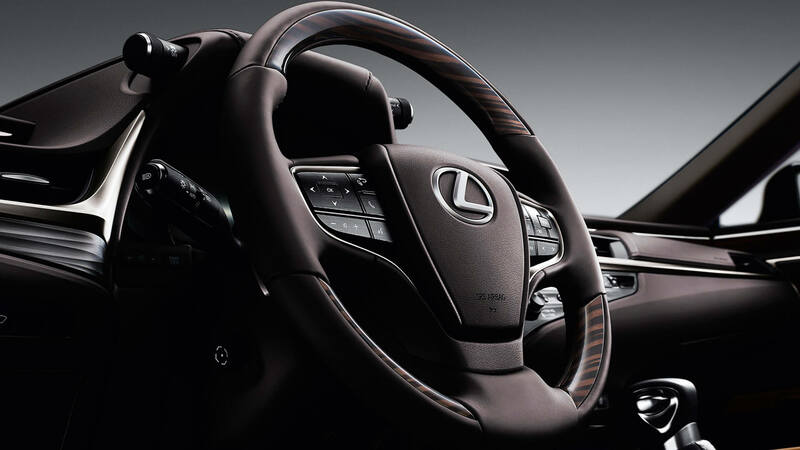 Our ‘Takumi’ master craftspeople oversee all of the exquisite detailing, from the stitching on the seats to the sharp and seductive Aluminium cabin trim, inspired by the beauty of a Hadori polished Japanese sword. 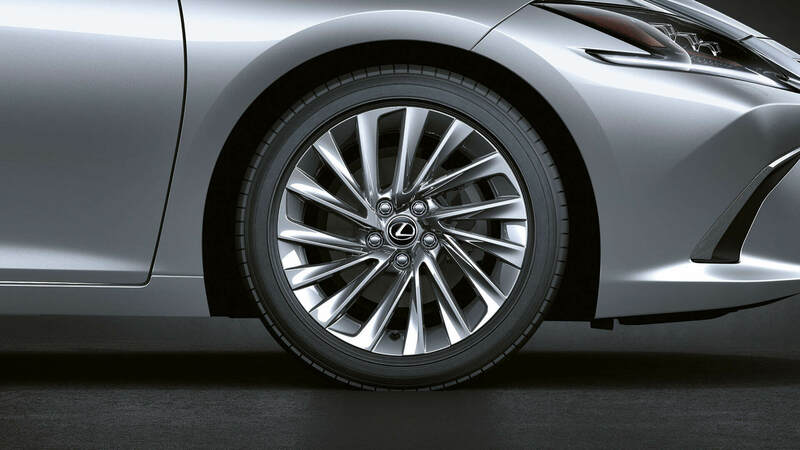 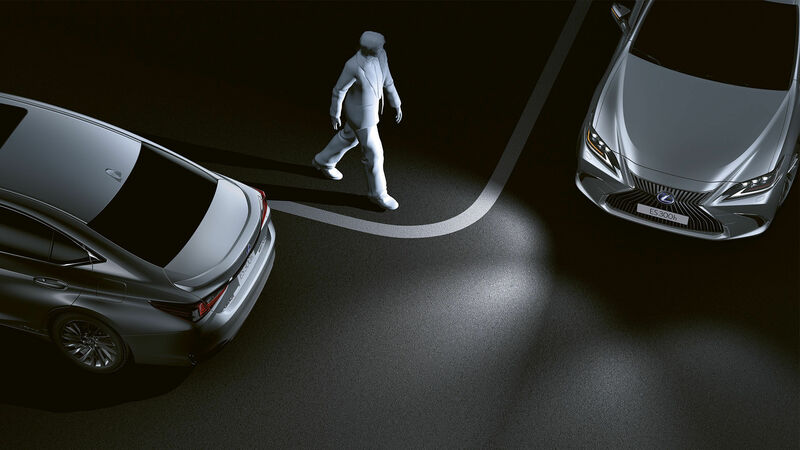 All ES models are equipped as standard with the very latest 2nd generation Lexus Safety System+ comprising advanced technologies that help prevent three of the most common accident types: rear-end collisions, lane departures and collisions involving pedestrians. 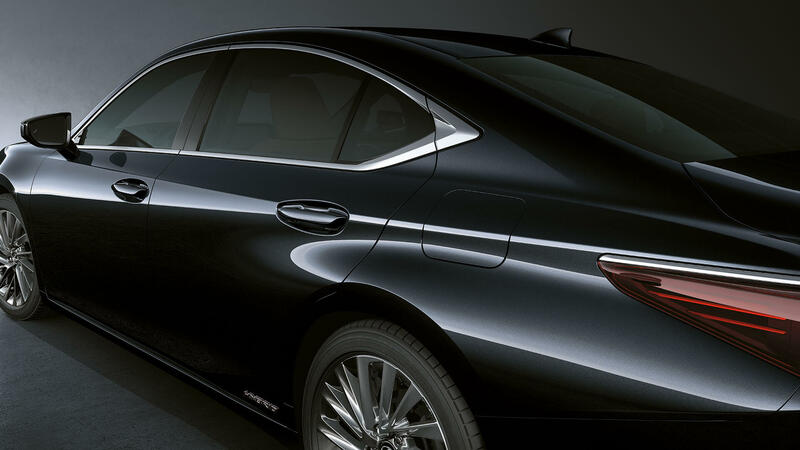 It’s also reassuring to know that you’re driving the safest premium saloon ever tested by Euro NCAP, with a prestigious 5-star rating. 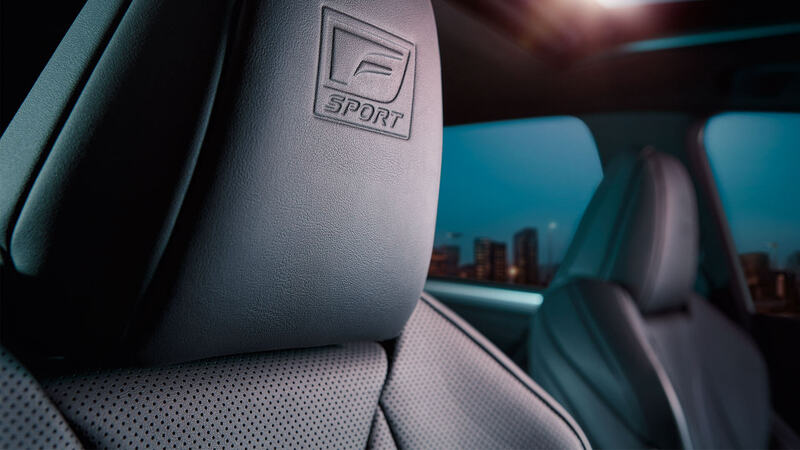 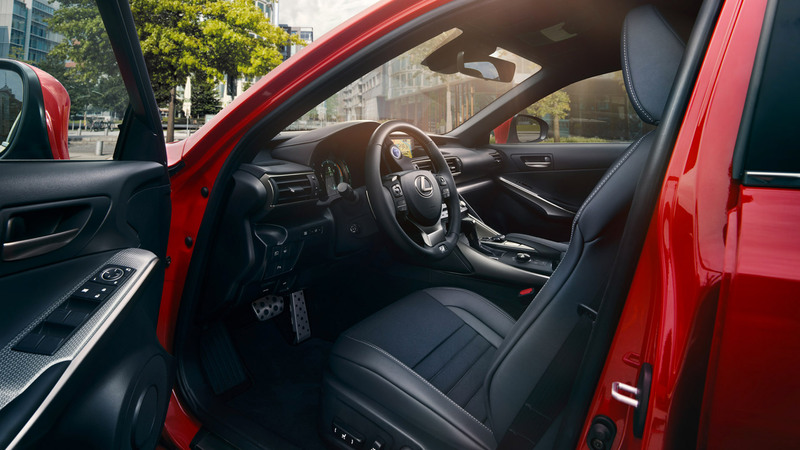 The F SPORT has a number of features inspired by the LC range including 19” alloy wheels and figure-hugging leather seats. 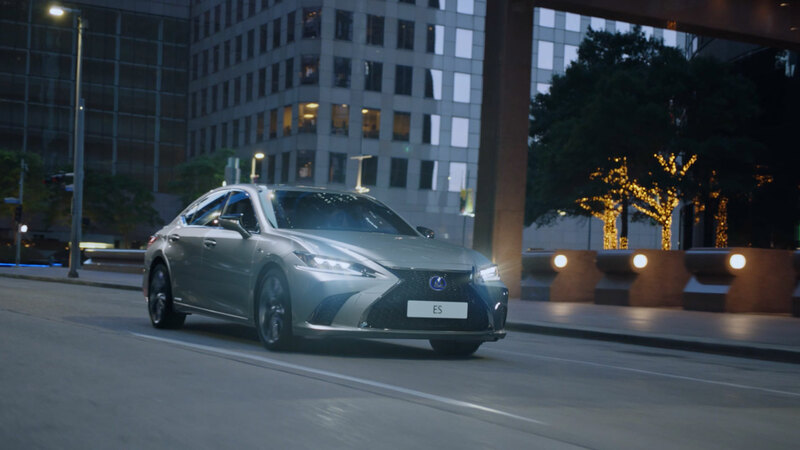 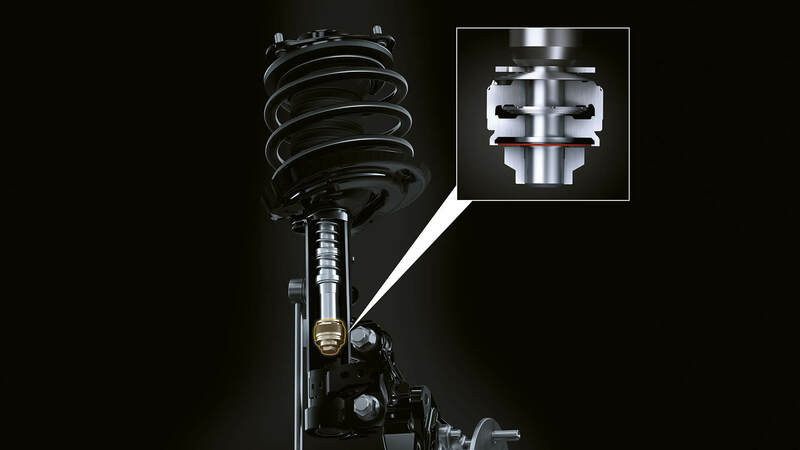 This range also offers an Adaptive Variable Suspension system, similar to that found in the LC sports coupé which adds adjustable dampers at each wheel with 650 levels of damping force to provide ultimate control on any road surface. 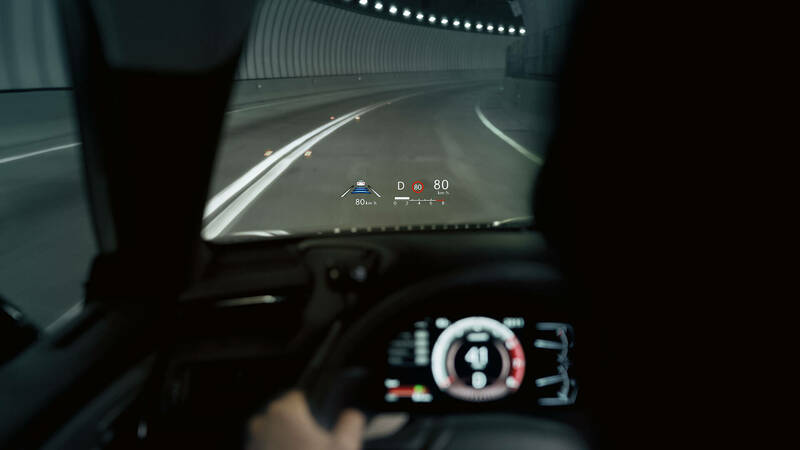 Using technology first developed for jet fighter aircraft, the ES’s high-resolution 10" colour Head-Up Display is positioned unobtrusively in your field of vision and projects key information onto the windscreen. 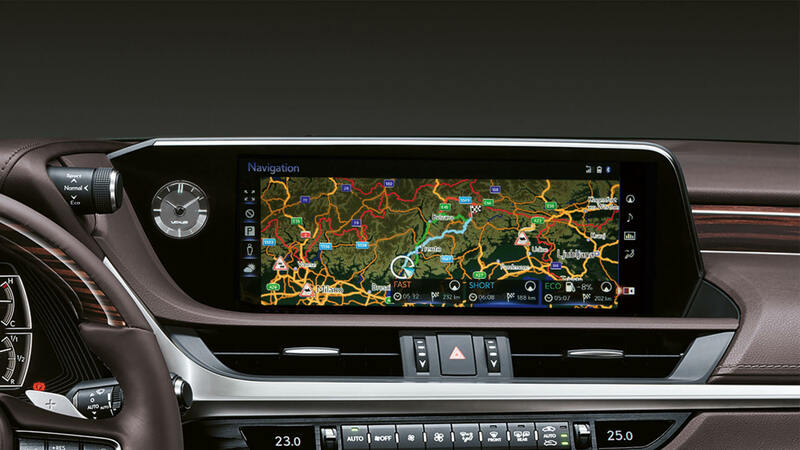 It creates an image so crisp and sharp you’ll have no problem viewing the data, even in the very brightest sunlight. 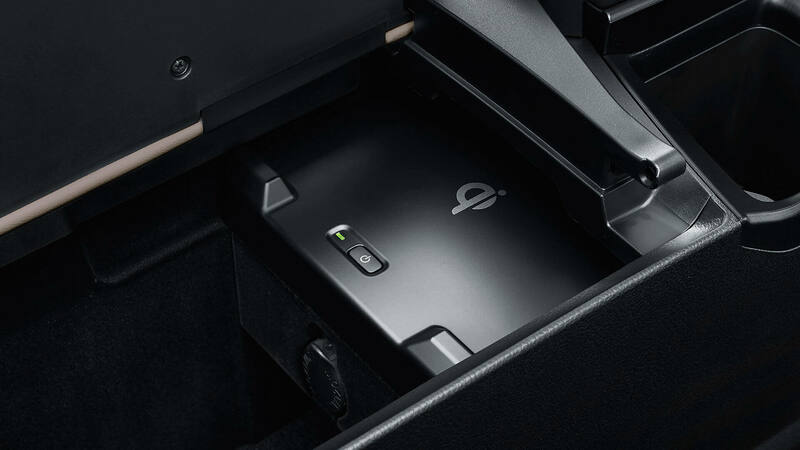 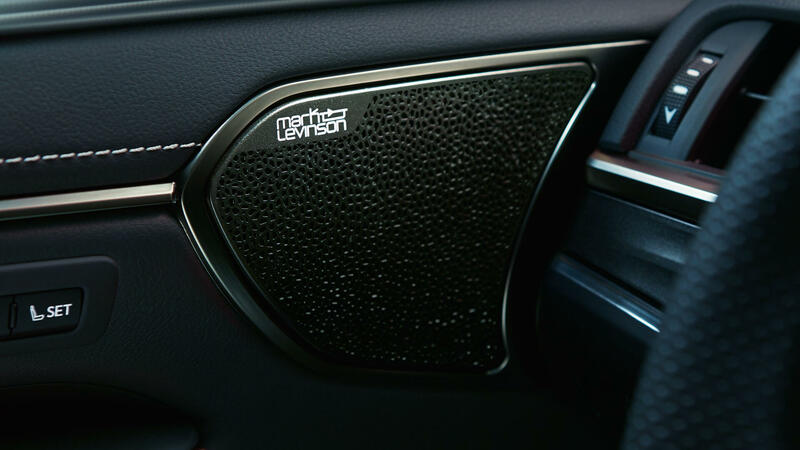 Enjoy the convenience of a hands-free power boot that opens as you place your foot under the rear bumper sensor while carrying the smart key.